Despite decades of research illustrating the benefits of enlightened leadership, the high-performance workplace is still not the norm. Vlatka Hlupic has spent 20 years investigating this paradox, and in this book she forms a penetrating critique of why such strong evidence has had limited impact, and provides an alternative practical approach that any employer can implement to overcome these challenges. 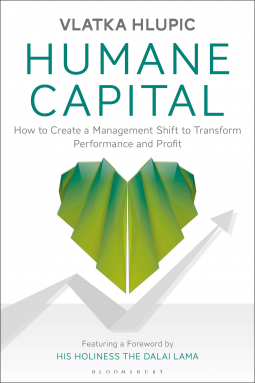 Humane Capital brings together management wisdom and shows how successful leaders have moved their organizations from controlled and orderly to enthusiastic and collaborative. Supported by insights from 50 of the leading thinkers and practitioners in the field, the book guides readers through the arguments for a radical reassessment of current business models, and the successful stories of employers from the private and public sectors who have made the transition. There is a clear correlation between those companies that are 'good' and those that do well--"good" meaning an organization that works with stakeholders, employees, society and customers. The book illustrates what steps need to be taken by managers and leaders in order to create a good, humane organization and achieve a high-performance workplace and sustainable success.